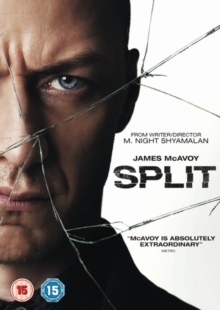 M. Night Shyamalan directs this psychological thriller starring James McAvoy. Kevin (McAvoy) is a man who suffers from dissociative identity disorder, meaning that he exhibits numerous distinct personalities which affect his behaviour. Kevin becomes driven to kidnap three young girls - Casey (Anya Taylor-Joy), Claire (Haley Lu Richardson) and Hannah (Kim Director) - on their way to a party. While trapped, the girls witness Kevin's personality shift repeatedly and try desperately to figure out a way to escape. Kevin has therapy sessions with Dr. Fletcher (Betty Buckley), who slowly realises that Kevin is on the verge of a devastating mental breakdown.